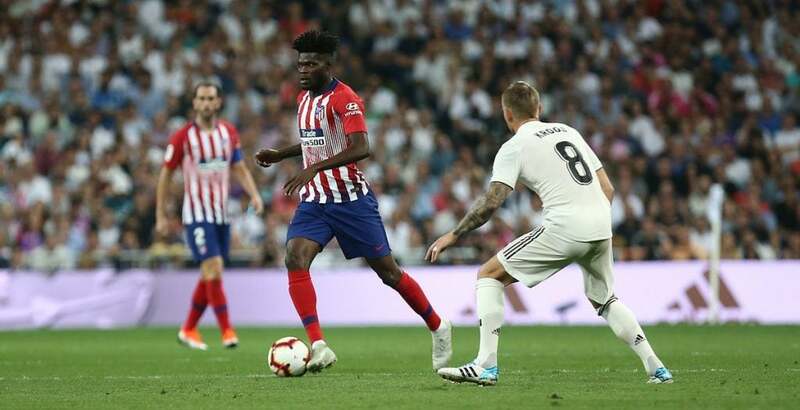 Atletico Madrid and Real Madrid will face off at the Wanda Metropolitano this afternoon, with both sides desperate to make up some ground on league leaders Barcelona. However, if you’re based in the UK, you won’t be able to live stream the match − you’ll have to wait until 10:30pm GMT for Madrid derby action. Our guide reveals all you need to know to watch Atletico Madrid vs Real Madrid online, including channel details and the kick-off time. The Madrid neighbours currently occupy the second and third places in La Liga, with Los Rojiblancos just two points ahead of their city rivals. Former Real striker Alvaro Morata will be braced for a tasty reception, having recently made the move to Atleti from Chelsea. Los Blancos, meanwhile, have shown some decent form of late, and will be full of confidence after their midweek Copa del Rey semi-final first leg draw against arch-rivals Barcelona. Unfortunately for Diego Simeone’s and Santiago Solari’s sides, the Blaugrana’s lead at the top of the table means it’s mainly bragging rights at stake today. Eleven Sports has exclusive rights to Atletico Madrid vs Real Madrid in the UK, but the 3:15pm GMT kick-off time means you won’t be able to live stream the game if you’re based in the UK. Why? Because of the highly controversial Saturday afternoon blackout rule. The rule, which was introduced the 1960s, prevents live football from being broadcast in the UK between 2:45pm and 5:15pm on Saturdays, and is designed to encourage people to attend Saturday afternoon games instead of watching whichever fixtures happen to be on TV at the time. Eleven Sports chose to ignore it earlier this season, branding it “one of the biggest generators of piracy in the UK”. However, in October it reluctantly agreed to follow the rule. “We maintain our strong view that the rule, which dates back to the 1950s, is unfit for the modern, digital era − particularly for overseas games which we hold the rights to. That means Eleven Sports can only show the game after it’s already taken place. Good luck avoiding spoilers through the day. You’ll be able to tune in to Atletico Madrid vs Real Madrid via Eleven Sports 1 much later on tonight, with coverage set to start at 10:30pm. In case you were wondering, Match of the Day will start at 10:20pm. If you haven’t yet signed up for Eleven Sports, it’s very affordable, costing just £5.99 per month. For that, you get to watch loads of live La Liga, Serie A, Eredivisie, Allsvenskan (the Swedish top flight) and Chinese Super League action. However, from March 1 the price of a Monthly Pass will fall from £5.99 to £4.99, with Eleven Sports set to lose the rights to Serie A and Eredivisie. Unfortunately though, you can only use your account to tune in on a single device at a time. And we’re glad to report that the Eleven Sports app, for both Android and iOS, is Chromecast-compatible − so you can watch tonight’s game on your TV. You can also cast games from your computer through Google Chrome. Don’t have a Google Chromecast? You can always connect your laptop to your telly the old-fashioned way, via HDMI. All that’s left to do is cart in the prawn sandwiches, sit back, and enjoy what will hopefully be an extremely entertaining affair. Share your predictions for Atletico Madrid vs Real Madrid by tweeting us @TrustedReviews.